Fresh off of a 466 yard, three touchdown performance, Tom Brady certainly gave his AFC East Rival Buffalo Bills more than they could handle. 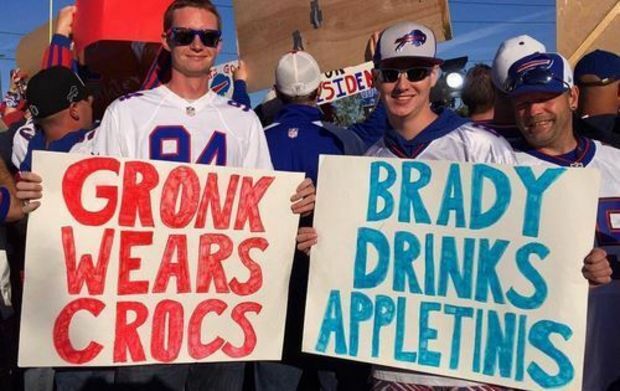 This all comes one week after the Bills fans were chanting, "WE WANT BRADY!" after embarassing the Colts in their season opener. Welp, they got him. Check out these five facts and statistics that show, maybe next time, you should be careful what you wish for. Tom Brady's 466 passing yards were the most all-time against the Bills, eclipsing the previous high of 464 by George Blanda in 1961. Yesterday, Tom Brady completed 38 passes. His best is 39, which he's done two times (2009 and 2002). Today was Tom Brady's 100th career game with at least one touchdown and no interceptions. First QB in NFL history to reach that milestone. Tom Brady owns a 24-3 record against the Buffalo. He has more wins against the Bills than any other NFL team in his career.